I start off by saying I could have asked of my father what it was like leaving old friends and an old land and even starting a new business (here), all of which my father did when leaving the Ukraine (as a young man). And there were many questions I could have asked of my mother, too, who too had come from the Ukraine, and met my father here for the first time. But I found out as a young man that age more than anything else separated.the old from the young. Yes. we don’t always speak the same language. 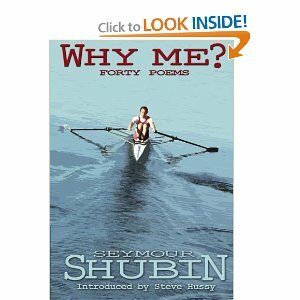 Seymour Shubin is the author of fifteen novels and more articles and short stories than he can begin to remember. His novels and stories have won numerous awards. 'The Captain', received the Edgar Allan Poe Special Award from Mystery Writers of America, and was also the subject of an essay in 100 Great Detectives. Another of his novels, 'Anyone's My Name', a New York Times' bestseller, and has been used as a text in university criminology courses. 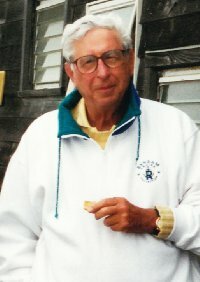 His short stories have appeared in a wide range of publications, ranging from such popular magazines as Ellery Queen's Mystery Magazine to the literary Story and Potpourri, where one of his stories won the best-of-year award. 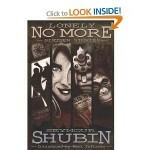 A collection of sixteen of Shubin's tales were collected in 'Lonely No More', which was released in 2012. Other stories have been anthologized, and one of Shubin's stories -- 'The Cry of a Violin' -- was broadcast twice on the BBC, whilst 'The Good and The Dead' was collected onto six CDs by Books in Motion. His one nonfiction book was a commissioned biography of John B. Amos, the late founder of the insurance giant, AFLAC. Shubin was born and raised in Philadelphia, PA and is a graduate of Temple University. He and his wife, Gloria, live in one of the suburbs. They have two married children. His son, Neil Shubin, wrote the paleontology book 'Your Inner Fish'... which was shortlisted for the Royal Society Prize for Science Books in 2009.